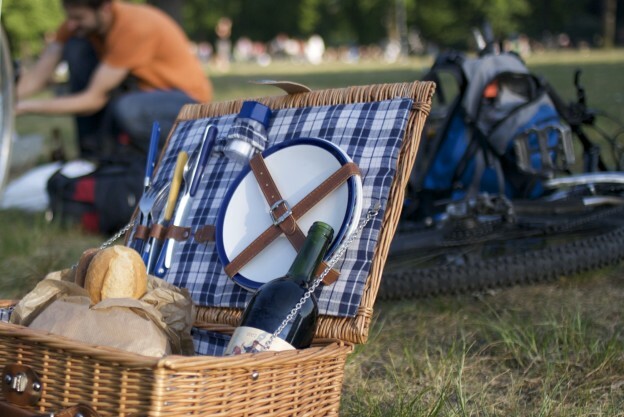 We’re all for dining al fresco this summer! Pack up one (or some!) of these healthy, portable recipes for your next trip to the park or beach. 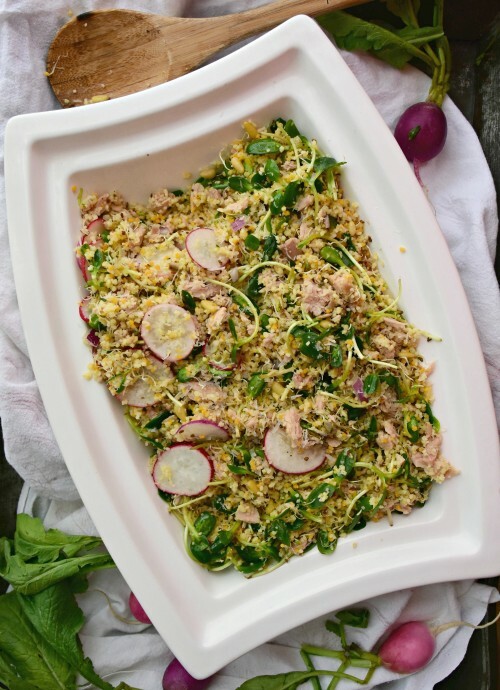 Elevate canned tuna with this make-ahead recipe featuring fresh summer radishes, greens, and chives. Chicken salad is a picnic staple, but the traditional mayo-based chicken salad can be high in fat. Instead, try this recipe made with a creamy tarragon Greek yogurt dressing and with fun mix-ins like grapes and apples. 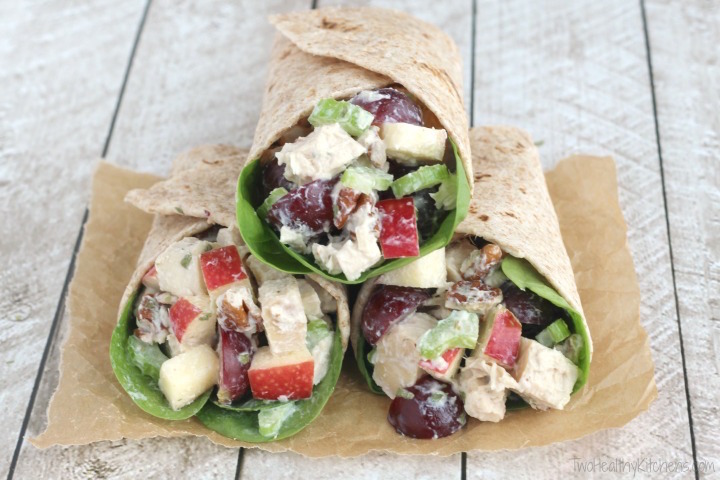 Wrap it all up in a whole wheat tortilla and you’re good to go! 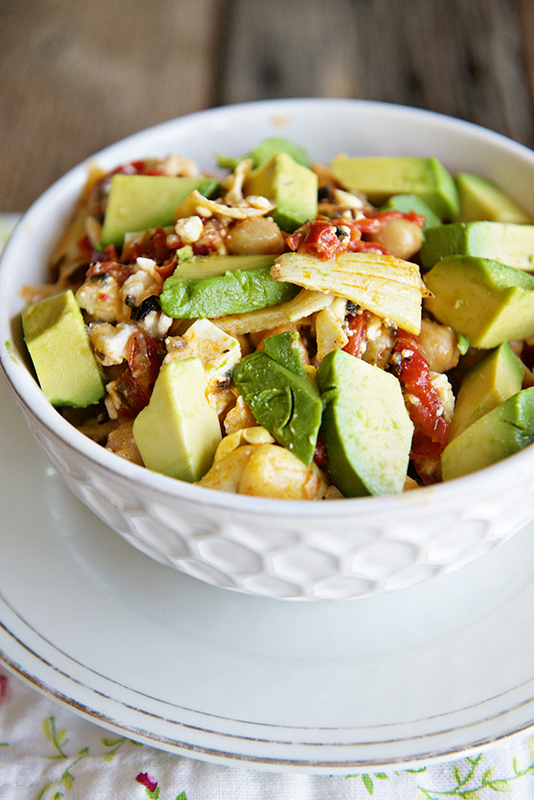 This salad is great for a picnic because it marinates as it sits, letting the Mediterranean flavors soak even more into the avocado and chickpeas. 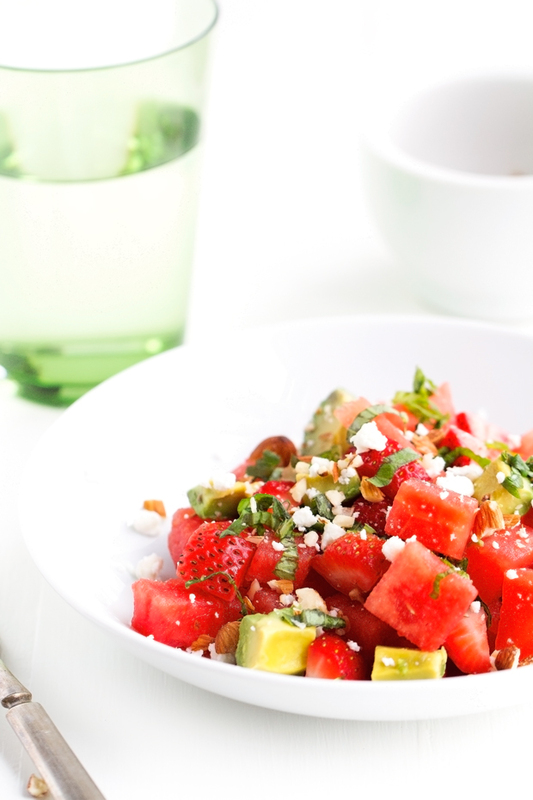 Use up your juicy watermelon in this salad recipe, mixed with sweet strawberries, crunchy almonds, and creamy avocado and feta cheese. Yum! It’s lunch to-go! 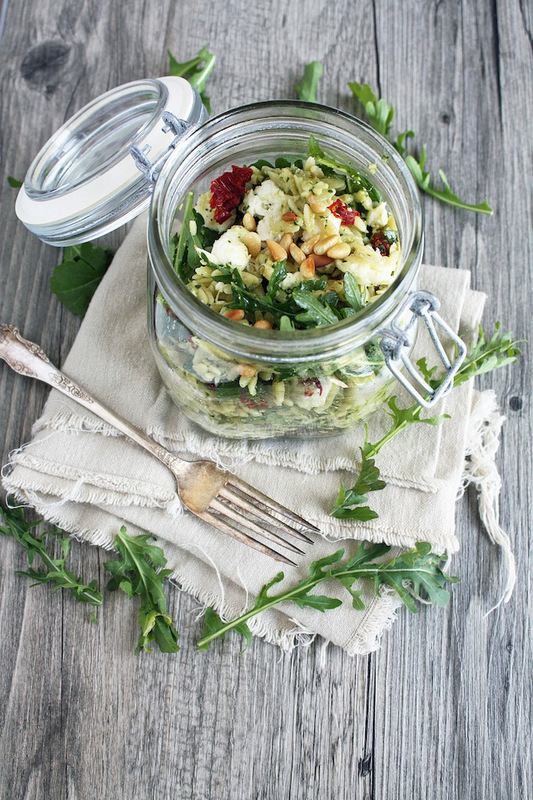 Homemade pesto is tossed with orzo, mozzarello and arugula for a fresh and tasty salad that can be eaten right out of the jar. 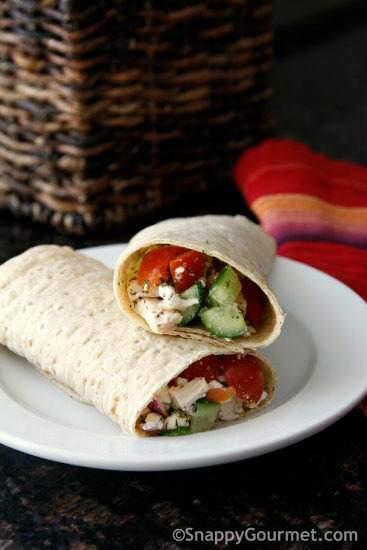 With chicken, veggies, feta, and a homemade Greek-style vinaigrette, these wraps are perfect to take your Greek meal to-go. What’s a picnic without a little dessert? 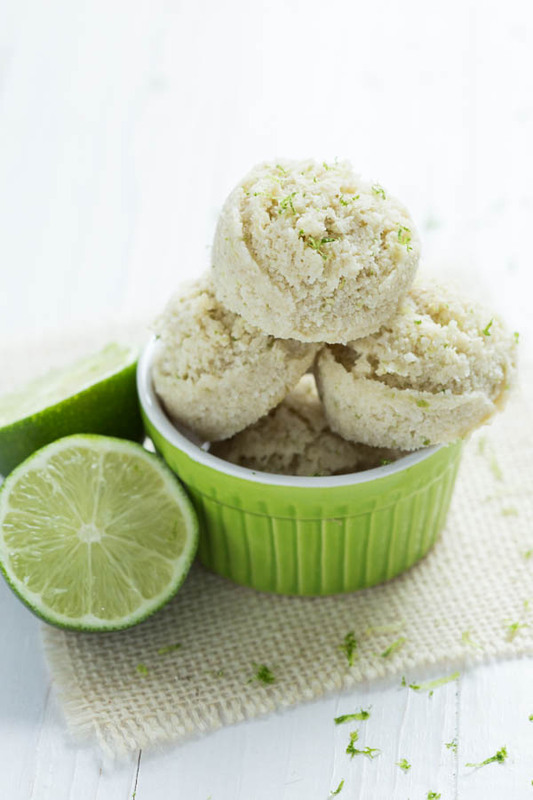 These coconut-based macaroons are a perfect way to satisfy your craving for key lime pie – guilt-free! This entry was posted in Recipes and tagged healthy picnic recipes, healthy summer recipes, picnic lunch, picnic recipes, summer recipes on July 28, 2015 by TeamBooya.